The change of ownership comes after Virgin Trains delivered industry-leading customer satisfaction scores, invested £75 million in improving services and increased payments to taxpayers by 30%, both far higher than under DOR, which previously operated the route. A package of customer improvements has helped drive record passenger numbers and strong business growth this year, bucking a downwards trend in rail travel. In recent months, passenger numbers have grown by 5%, building on a record-breaking 21.8m journeys in 2017/18, 1.3m more than when Virgin Trains took over the east coast route in 2015. The operator, which is 90% owned by Stagecoach Group and 10% by Virgin Group, has also prepared for the next phase of improvements in customer services with the introduction of the state-of-the-art fleet of 65 Azuma trains from this December. Testing of the trains, whose name means “East” in Japanese, continued this week with visits to the last of 57 stations on the network as far apart as London King’s Cross and Inverness to ensure platform compatibility. A slowdown in long-distance rail travel in the early years of the franchise led to Stagecoach/Virgin subsidising premia payments to Government with more than £200m of shareholders’ money and the early end of the East Coast contract. 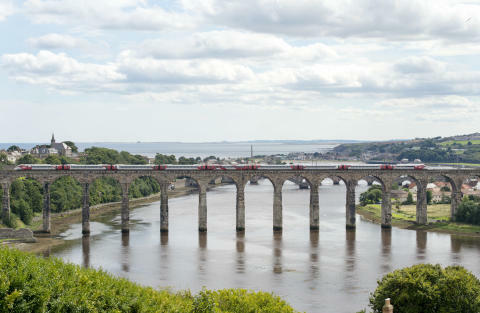 Virgin Trains took over the east coast route, which connects London to stations in the north and Scotland including York, Leeds, Newcastle, Edinburgh, Aberdeen and Inverness, in March 2015. Over the last three years, the operator has completely overhauled the train interiors, investing in more reliable train engines and introducing innovative features for customers such as Seatfrog, an auction allowing customers to bid for upgrades to First Class. More than £800m has been paid to taxpayers, an increase of more than 30% on previous payments to Government under DOR. Virgin Trains role in driving up customer satisfaction scores has been praised by rail watchdog Transport Focus, which also said passengers would expect this to be “maintained and built on” following handover. Overall customer satisfaction increased in the period when Virgin Trains operated the route compared to DOR. 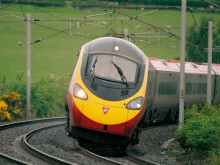 Virgin Trains West Coast business, which has connected London to cities including Birmingham, Manchester, Preston and Glasgow since 1997, is a separate business and unaffected by the changes to the East Coast franchise. Stagecoach and Virgin are working in partnership to operate the West Coast and East Coast inter-city route under the Virgin Trains brand. Together, they are on track to revolutionise rail travel across the UK. Virgin Trains is committed to delivering a high speed, high frequency service, offering shorter journey times, more comfortable travel and excellent customer service. Customers consistently rate Virgin Trains the top long-distance rail franchise operators in the National Rail Passenger Survey (NRPS) commissioned by industry watchdog, Transport Focus. Virgin Trains is operating the East Coast route until June 24, 2018 after taking over the business in March 2015. In that time, we have invested £75m to create a more personalised travel experience, including over £40m in our existing fleet. Customers can now benefit from 48 additional services between Edinburgh and London every week, and an extra 22 Saturday services between Leeds and London – a total of 1.74 million additional seats since May 2015. Working together, the partnership railway of the public and private sectors has published a long-term plan, called In Partnership for Britain’s Prosperity,to change and improve Britain’s railway. The plan will secure almost £85bn of additional economic benefits to the country whilst enabling further investment and improvement, and contains four commitments which will see rail companies: strengthen our economic contribution to the country; improve customers’ satisfaction; boost the communities we serve; and, createmore and better jobs in rail. For more information go to Britain Runs on Rail.